Surfside is a city located in the Outside Los Angeles region. 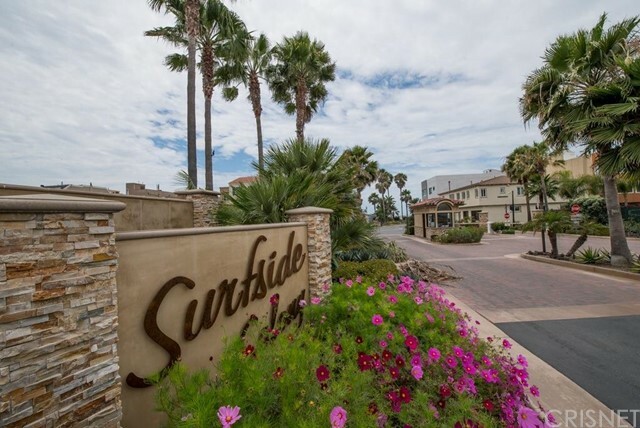 Surfside is located near Sunset Beach, Seal Beach, Rossmoor, Los Alamitos, Cypress, Hawaiian Gardens, Midway City, Huntington Beach, Long Beach and Signal Hill and is comprised of the 90743 zip code. The real estate conditions in Surfside are considered to be a "Seller's Market", which means the demand to purchase homes is greater than the supply of homes available for sale. Description: entertainers dream!!! endless views abound from this beautiful, custom beachfront house in the private 24-hr guard-gated enclave of surfside colony nestled between seal beach and sunset/huntington beach. the first floor welcomes you to a phenomenal great room featuring a cozy fireplace and a great setup for guest entertainment. enjoy candlelit dinner or simply take advantage of the majestic 360 degree views right from your deck area. the second floor features a great room arrangement with spectacular views from your balcony taking every advantage of the whitewater, catalina, palos verdes, night lights, long beach & majestic panoramic sunset views. take a stroll on the sand right outside your deck area while enjoying endless sunsets. the home has 3 bedrooms and 3 baths, custom floors, granite countertops viking appliances & a 2-car garage. shown by appointment only. buyer to verify square footage of lot and residence prior to close. Listed By: Karla Cisneros of Nansco Management Inc. Description: highly upgraded prestigious surfside colony gated community home w/large roof deck & amazing partial ocean views in highly desirable los alamitos school district, & just steps from the sand! fantastic curb appeal w/new 'tuscany-style' smooth coat finish, new custom garage door (installed nov. 2013), brand new high quality carpet, & newer dual paned windows! this beach home features dramatic formal entry w/custom beveled glass front door, travertine flooring & 'moody-built' spiral staircase w/stained glass custom lighted hutch & alcoves! elegant gourmet kitchen w/granite counters & breakfast bar! custom cabinets & wine rack extending all the way up to the ten foot ceiling! stainless t.o.l. appliances! impressive 'great room' w/custom stained glass panels over large ocean-view windows! custom stack rock floor to ceiling fireplace & built-in entertainment center on either side! large master bedroom w/white-water views, large walk-in wardrobe & custom hi-tech audio/video system extending throughout entire home! luxurious bathroom w/travertine shower and flooring, jacuzzi tub & embellished vanity! large first floor bathroom & laundry area w/travertine shower & flooring! rooftop deck w/granite bar seating, built-in bbq, refrigerator & fire pit! Listed By: Linda Chamberlain of Team Chamberlain Realty Exe.